The Models And Which To Buy? 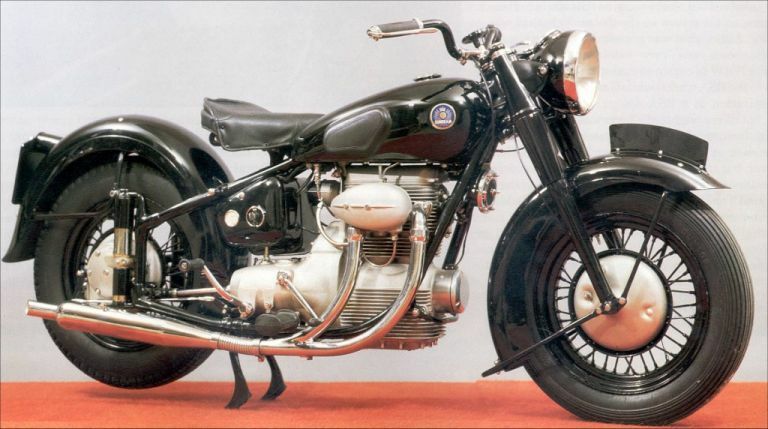 Around 16,000 Sunbeam S7, S7 Deluxe and S8 motorcycles were produced and it is thought that around 10,000! 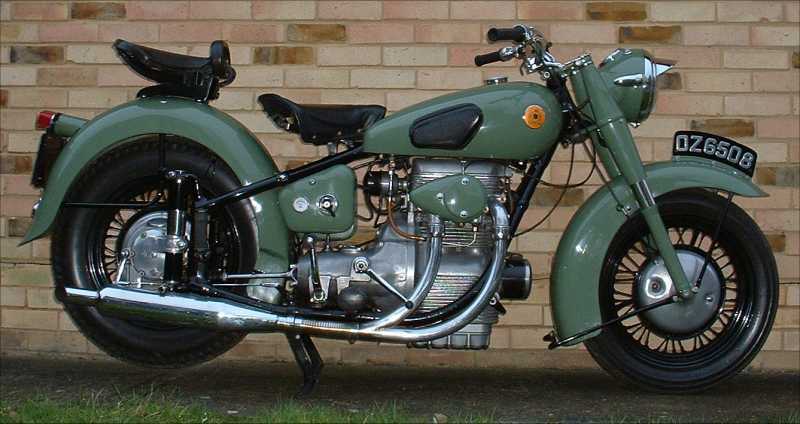 of these still exist, mainly due to the fact that since production started in 1946 there has never been a time when spares were not available, even when the Sunbeam was not a classic motorcycle and production had ended. How many other production line motorcycles can claim this kind of survival rate. It is quoted that Sunbeam rear drive units are weak and unreliable, this however is not true and was caused by a printing error in a run of the Sunbeam motorcycle handbook. The error stated the wrong oil type which started to degrade the internal phosphor bronze worm gear components. The previous editions and those printed since have all given the correct oil type. With the correct oil the rear drive can last upto 100,000 miles or more, dependant on type of use. 2/. A working or at least complete distributor - a replacement cap will cost around £50! 4/. A working and complete rear drive unit - to overhaul will cost around £200! 6/. A straight frame - Many of these bikes have been used to haul sidecars! This is the original Sunbeam S7 produced from 1946 - 1949 which was superseded by the S7 Deluxe which is often also referred to as just an S7. Only around 2000 examples of this model were made during its 3 year production run. Frame number S7-101 was produced on the 21/12/1946 and production stopped with frame number S7-2205 on the 01/04/1949. Engine numbers ran to S7-2371 possibly the difference is due to components being made for dealer spares. Early frame and engine numbers matched, however nearer the end of the production run they started to slide apart and therefore they didn't all match even fresh from the factory. This motorcycle was offered in black paint only, however some dealers may have provided any colour from the ICI paint range used by the BSA factory. Due to the small production numbers of this model spares can be VERY hard to find and also VERY expensive. Although the S7 Deluxe resembles the S7 very few of the parts are interchangeable. Major parts such as engines, gearboxes, frames, rear drive units, tinware, air filter covers, fuel tanks, dynamos, exhaust systems, forks and all the controls are different. It would be quicker to list the parts that are shared! This model generally commands the highest of the shaft drive Sunbeam prices mainly due to historic interest, however it also provides the least usable motorcycle of the three. Reliability although modifiable is not great, in some part due to the fact the engine carries very little oil (note depth of sump pan). The handling is poor in comparison with either of the other models and performance was always a compromise. Restoration of this model is not recommended for those with shallow pockets or without considerable engineering skills. This the Sunbeam S7 Deluxe fitted with Stewart Engineering aftermarket deep sump (Here is an S7 Deluxe without one) and optional pillion pad. In 1949 BSA Motorcycles - Redditch, introduced two new motorcycles the S7 Deluxe and the S8. These models were produced concurrently and the S8 did NOT replace the S7 Deluxe. Production started with frame number S7-2501 on 27/05/1949 and although these frames are marked with the S7 prefix they are dimensionally different from the earlier S7 components. Production of the S7 Deluxe ended in 1956. Over 5000 examples of this model were produced, cost was around £220.00 when new in 1949. The S7 Deluxe used the same basic engine as the S8 and the engine numbers on both models start with the S8 prefix. Therefore engine and frame numbers NEVER matched on either the S7 Deluxe or the S8. Many of the components are shared with the S8. This motorcycle was offered in black or mist green (same colour as this page background! ), however some dealers may have provided any colour from the ICI paint range used by the BSA factory. This model is becoming highly desirable and therefore prices are climbing, it also provides a nice ride and can be very reliable, although the S8 is said to be 'Sportier'. This is the model that most enthusiasts imagine when thinking about Sunbeams, it carriers the popular (now, not necessarily then) balloon tyres, painted interchangeable wheels and cantilever saddle arrangement. There are lots of upgrade modifications available including the extended sump pan shown in the picture above. This increases oil capacity by a pint. Parts are easier to source for this model compared to its predecessor. Restoration of this model should be fairly straightforward, however because Sunbeams were not produced in the same quantities as other BSA models like A7 and A10's, it should be considered a 'specialist' machine and low quantity spares reproduction means that some parts can be pricey when compared to other motorcycle marques. This is the Sunbeam S8 also fitted with Stewart Engineering aftermarket deep sump, optional pillion pad and modified 8" BSA A10 front brake hub (It should be a Sunbeam 7" version). 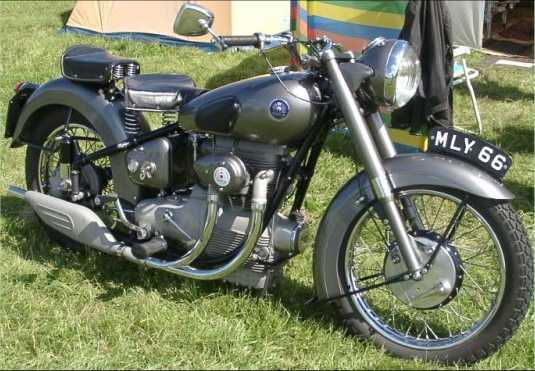 In 1949 BSA Motorcycles - Redditch, introduced two new motorcycles the S7 Deluxe and the S8. These models were produced concurrently and the S8 did NOT replace the S7 Deluxe. Production started with frame number S8-101 on 27/05/1949 and these frames were different to the S7 Deluxe component, mainly due to the more conventional saddle arrangement which moved away from the previous cantilever arrangement. 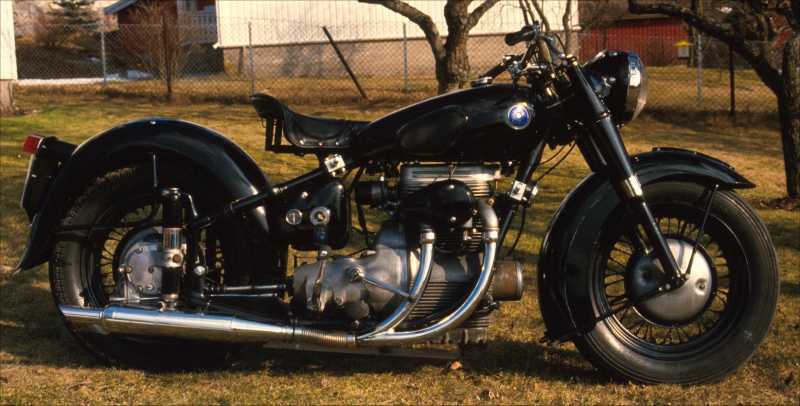 The motorcycle also sported forks which were much closer in build to the standard BSA A7/A10 component, although they are different and the yokes are much wider apart. Because the S7 Deluxe and S8 shared the same engine production line, frame and engine numbers NEVER matched. This motorcycle was offered in black, mist green (same colour as this page background!) or the new and I think very attractive polychromatic silver grey, however some dealers may have provided any colour from the ICI paint range used by the BSA factory. The S8 was also built to a price (about £185 in 1949) and although cheaper was sold as the 'Sports' option of the range, apparently aided by the new (and some say stylish) aluminium silencer (This can be expensive if missing). The tyres were much slimmer and not interchangeable. The front brake was replaced with a new 7" component. Front and rear mudguards are different to the S7 Deluxe to suit the slimmer tyres. Production of the S8 ended in 1956. Over 8000 examples of this model were produced. This model marks the best value for money in our Sunbeam range, however even non running basket cases still fetch good high prices compared to other marques and models. It provides the best ride and handling of the range and reliability is generally good. Parts are also the easiest to obtain. Like the S7 Deluxe there are lots of upgrade modifications available including the extended sump pan shown in the picture above. This increases oil capacity by a pint.